On the first day of the 1977/78 season, Celtic’s highly experienced sweeper, Pat Stanton, was badly injured in a game against Dundee United. 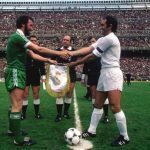 Stanton had been exceptional during the 1976/77 season and his influence had gone a long way to helping Celtic to a memorable league and cup double. Without his calming presence on the field, Celtic had struggled badly in defence with Johannes Edvaldsson, Roy Aitken, Jim Casey and Ian McWilliams all having been tried as Stanton’s replacement without any notable success. By mid October Jock Stein had decided to remedy the situation and he swooped to bring another highly experienced defender, Frank Munro, from Wolverhampton Wanderers. Munro had enjoyed a highly successful career at Molineux and as recently as 1975 had been a Scottish international, although it was still a surprise when Stein made Frank captain on his debut, in place of another injured Celtic star, Danny McGrain. 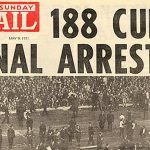 Scottish football was on a high after Scotland’s memorable midweek win over Wales at Anfield had earned them a place in the 1978 World Cup finals in Argentina and ex-Celt Jimmy Johnstone took the salute of the Celtic fans in the 29,000 before the match. The ‘gala atmosphere’ that had been described by the newspapers was not to last long. 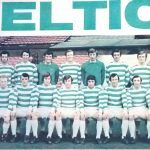 Alex Ferguson brought his talented young St Mirren side to Celtic Park on a pleasant autumnal day and the Saints brought a large and noisy away support with them for their first trip to Parkhead since 1970. 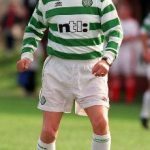 Celtic, very unusually, wore green socks with their traditional hoops, something which used to annoy the traditionalists amongst their supporters. The game was in the balance until the 59th minute when Saint’s Lex Richardson fired in a cross from the right. During the match Frank Munro had appeared to struggle with getting to grips of the faster pace of the Scottish game, and when trying to clear the ball, he only succeeded in slicing the ball past the Celtic ‘keeper, Peter Latchford. 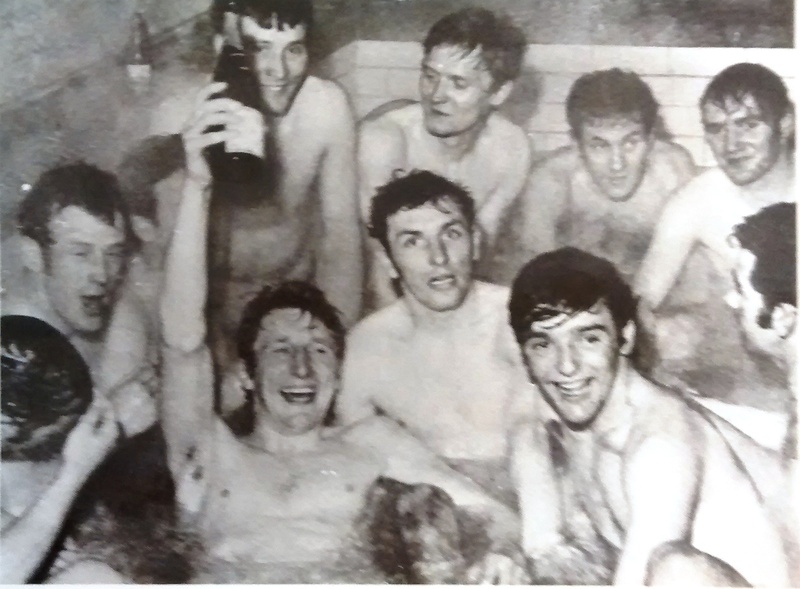 It was to Munro’s credit that he put this blunder behind him and within five minutes Celtic were level when Tom McAdam scored with a rebound after Saint’s keeper, Donald Hunter, could only parry a powerful Ronnie Glavin shot into his path. St Mirren had played well on the day and deserved the winning goal in the 70th minute when their elegant, young midfielder, Billy Stark, cleverly beat Edvaldsson and placed a fine shot past Latchford. Despite a flurry of attacks near the end, Celtic could not muster an equaliser. In later years Munro’s Celtic debut would be recalled grimly and his Celtic career was not to last long as he was given a free transfer the following April. It’s not commonly known that he had lost out on the chance of a lucrative testimonial match that his 10 years with Wolves had warranted and he only agreed to leave the Wanderers as it was Celtic, his boyhood heroes, who had come calling. For that reason alone it’s a great pity that Frank Munro’s Celtic career could not have been more enjoyable and successful.